A “social license to operate” has been widely accepted as something that companies need to gain and maintain, particularly in resource-based industries, such as mining, oil and gas (also pipelines), coal, and forestry. Industry examples indeed seem to suggest that such a permission from society is necessary for companies to operate. In Canada, several oil and gas pipeline projects (such as Keystone XL, Energy East, and Trans Mountain) have been either significantly delayed or canceled altogether by companies (or governments), due to protests by various activist groups. In South-America, activists and local community groups have protested and succeeded in having planned mining developments postponed or canceled, such as Newmont Mining Corporation’s gold mines in Peru. But activists’ success in persuading companies (or governments) to delay or cancel resource development projects should not fool us. A “social license to operate” is an invalid, undefinable concept. It should be discarded because it undermines the requirements of human survival and flourishing—including of the production of material values. What we need is competition in free markets and protection of individual rights. What does “social license to operate” (SLO) mean, and why is it an invalid concept that deserves to be thrown out? While such a description is too vague to qualify as a definition, it conveys the idea that corporations need the tacit permission of “local communities, the wider society, and various constituent groups” to operate. This may appeal as a feel-good idea—but it is destructive and not in anyone’s interest: not of the members of the local communities, and not of companies. According to Merriam-Webster dictionary, ‘license’ is a “permission to act; a permission granted by competent authority to engage in a business or occupation or in an activity otherwise unlawful.” Typically, “competent” authority refers to government, which grants business licenses; not only to companies producing natural resources but to those that sell alcohol, tobacco (and cannabis), operate restaurants, day cares, pre-schools, or hair salons, among others. Presumably, the purpose of such government licensing is to protect us from unscrupulous businesses who would deplete natural resources and pollute land and air, sell alcohol to minors and tainted food to customers, expose children to unsanitary conditions or worse, or ruin clients’ hair. While licensing of businesses fills a legitimate need of customers to know that products or services they are about to buy meet certain standards, it is not the government’s role. Licensing should be voluntary and done privately, by third parties. Why should companies then require a SLO from society—all individuals who live the same country, or even just the residents of the local community? They don’t. The basic principle of organizing society—one that makes human flourishing, including through business, possible—is freedom, protected by individual rights. Freedom is an essential requirement for individuals in society to pursue their goals and values and interact with others by trading. This includes individuals who own and operate companies. Companies must be free to create the best goods and service they can and to compete with others for partners to trade with: customers, employees and suppliers. Such trading partners either voluntarily consent and contract to trade, for mutual benefit, or they don’t. The SLO is based on the opposite principle: a majority controlling individuals’ ability to pursue their goals and values. SLO attempts to curtail companies’ freedom to pursue profits through creation and trade of material values: minerals, oil and gas, coal, forest products, and others. No SLO is needed for such profit-seeking activities. Instead, companies must offer values for trade with willing partners. What companies must not do, is to violate others’ individual rights to life, liberty, property, and the pursuit of happiness, through the initiation of physical force or fraud. Protecting the individual rights of everyone, including companies’ freedom to operate, is government’s (only) role. The government must not violate the individual rights of its citizens, and it must punish those who violate rights of others. What we need is competition in free markets and protection of individual rights. The former spurs companies to offer best products and services they are able. The latter would deter and punish those to try to profit by force or fraud. The notion of social license to operate should be discarded—if human flourishing, which includes material well-being, is the goal. 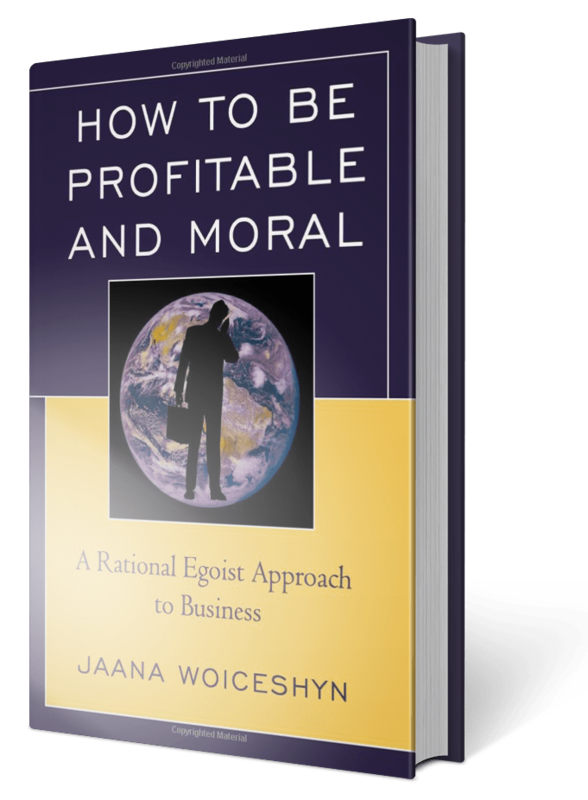 Next articleIs egoism an obvious moral choice? Right, neo-Marxists are clever at inventing schemes to block human progress while denying individual rights that would be a foundation for ensuring responsible behaviour. They position themselves as speaking for the majority. Businesses fall for their scams, as a majority of Chambers of Commerce on southern Vancouver Island have regarding climate alarmism. And CIBC’s Wood Gundy operation has a “Blue Heron Advisory Group” that is anti-human. Tragically, in the past governments and businesses have been irresponsible. Corrective action has been slow, only now is the Carrier tribe east of Kitimat about to be compensated for BC’s open violation in providing a dam to generate power for the Kitimat (suddenly it had taken more river area than stated). Of course voters elected governments, like that of the hypocrite W.A.C. Bennett during which the foregoing occurred. And tribal groups are not doing well, while all elected governments of tribes on the route of the new natural gas pipeline to Kitimat are in agreement, unelected ‘chiefs’ (‘hereditary’ ones) are blocking work and throwing in buzzwords like ‘fracing’ which is irrelevant (wouldn’t matter if the pipeline were to carry Moose Methane, their objection is to the physical activity of construction). The “Blue Heron” name comes from the darling bird of the south coast of B.C. The Great Blue Heron is a large wading bird, which is not even an ‘endangered’ species in truth (populations of large birds tend to be small, those herons are common).